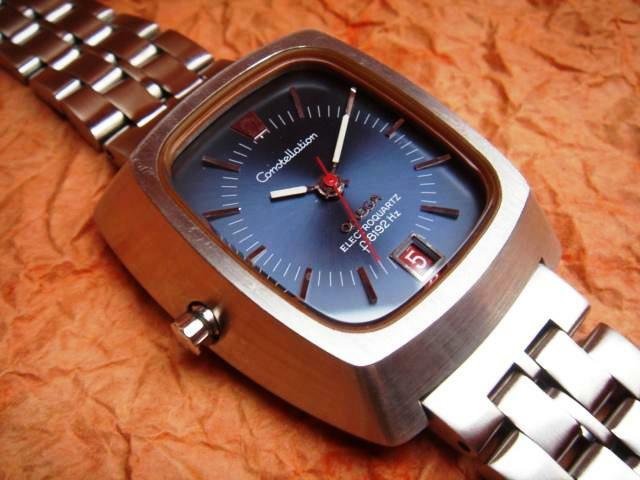 The ElectroQuartz 1300 by Omega is considered the World's first Quartz watch developed from the 1962-1967 Beta21 prototypes created by CEH (Centre Electronique Horlogerie). 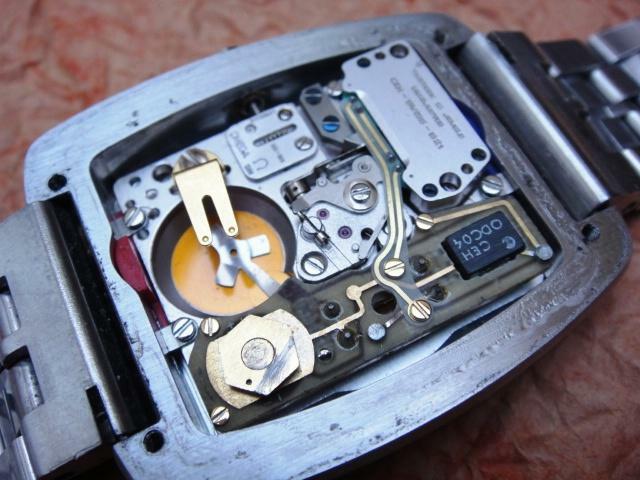 This joint development center was established by nearly two dozen leading watch manufacturers including Rolex and Patek. 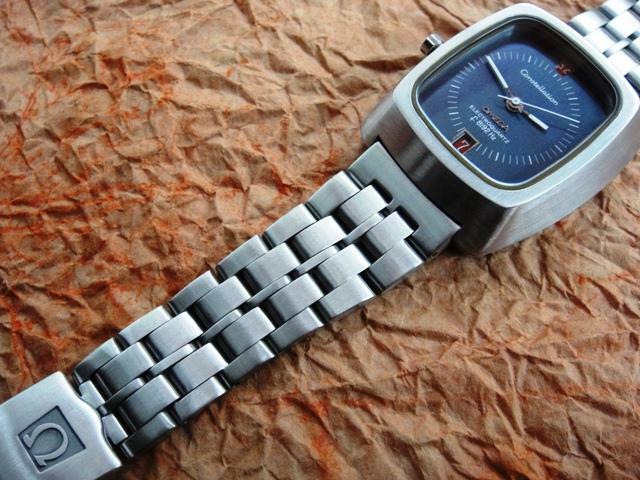 Once this project was completed most of these companies began production of individual watches with B21 movements. 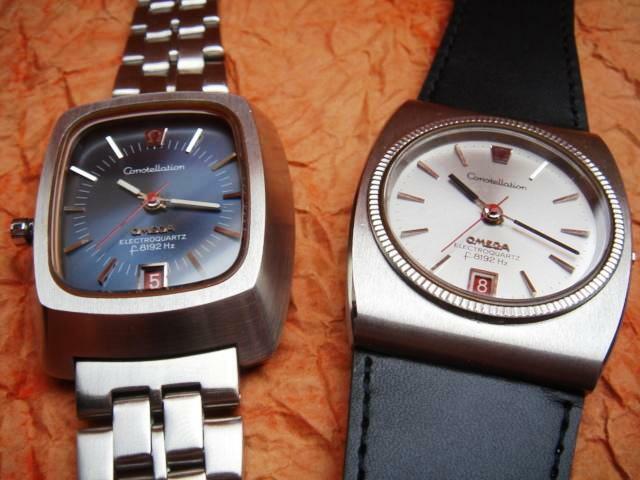 Sales started in 1970, a year later than the Seiko 35SQ Astron. 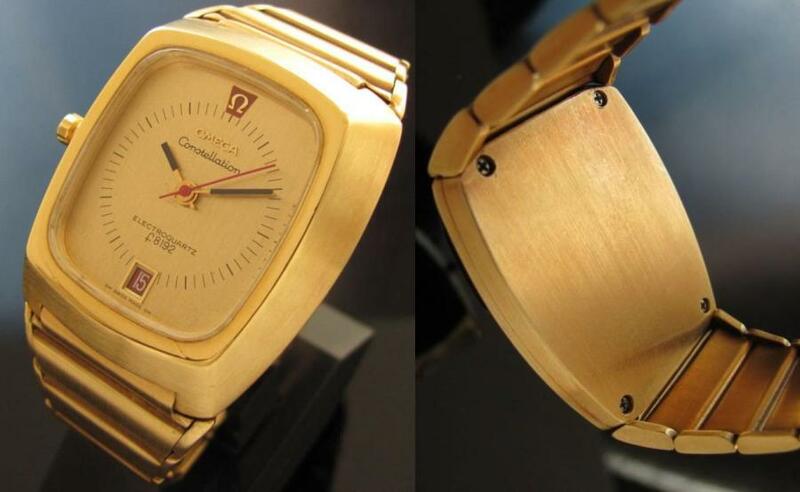 The Japanese invention reached ony 100 pieces in solid gold and is nowhere to be found thus the Beta21 is considered the first mass produced quartz wristwatch. 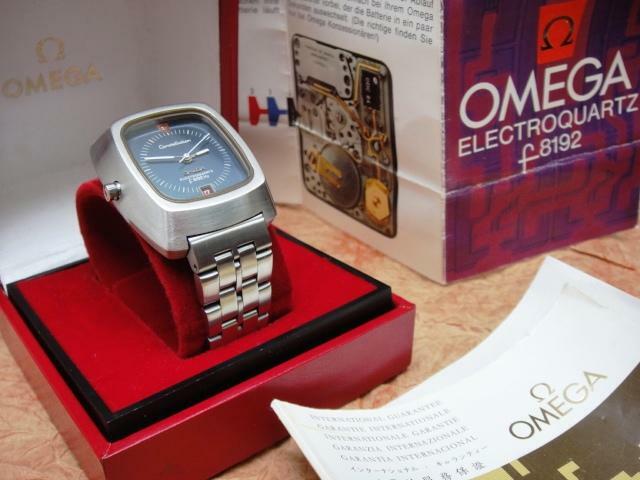 Omega sold a few different models including limited solid gold versions. 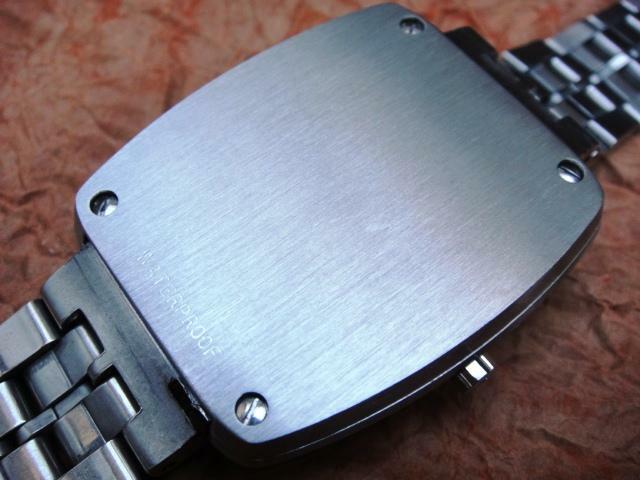 The movement looks like an advanced and complex prototype and consists of three separate modules that were produced by CEH (circuitry), Ebauches (movement), Omega (motor). Once a battery is inserted it activates a quartz crystal resonating at a frequency of 8192Hz which is divided by the electronic circuit into smaller impulses. 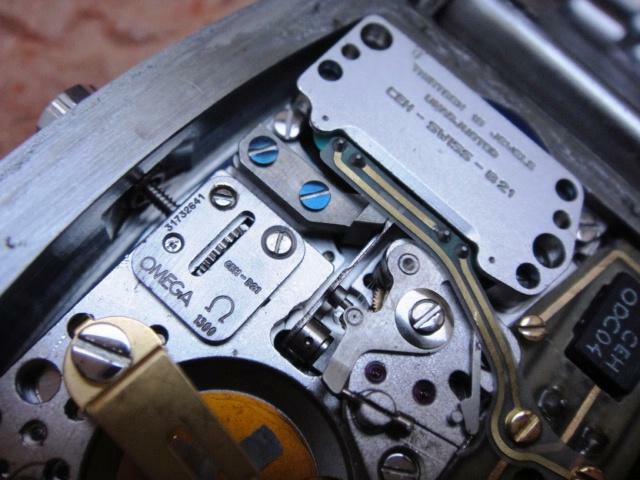 There were no micro stepping motors available at that time so the B21 was based on the Accutron idea. Instead of a tuning fork there is a resonating rod with permanent magnet on one end and an adjustable counter weight on the opposite end. 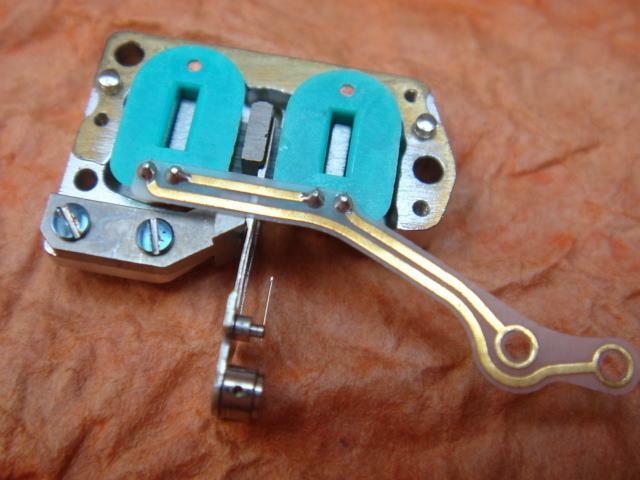 The resonator with jeweled index finger is put into vibration by the motor module - an electromagnetic coil controlled by impulses from the electronic module. 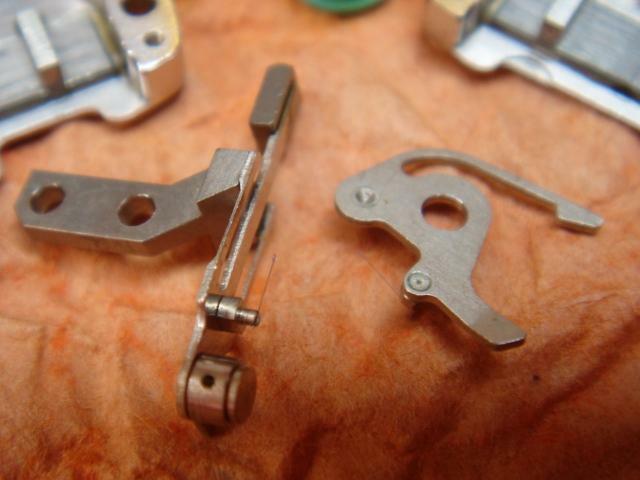 The vibrating index finger provides motion to the index wheel so the concept is nearly identical with the Accutron except that a quartz and chip have been added on top as frequency precision instruments. 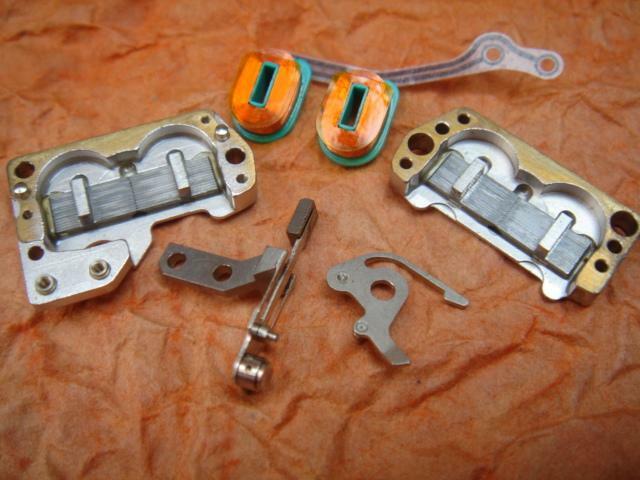 The ElectroQuartz is very precise thus there are not many adjustments available in the standard procedure. 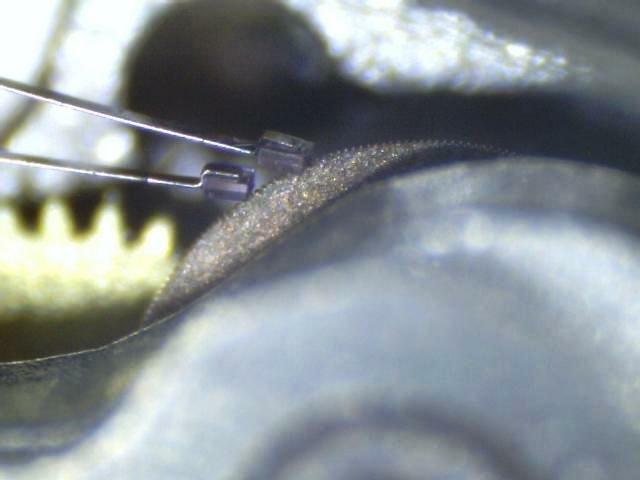 Hints: 1) Timing can be performed with the quartz trimmer (+/-4 sec/day). 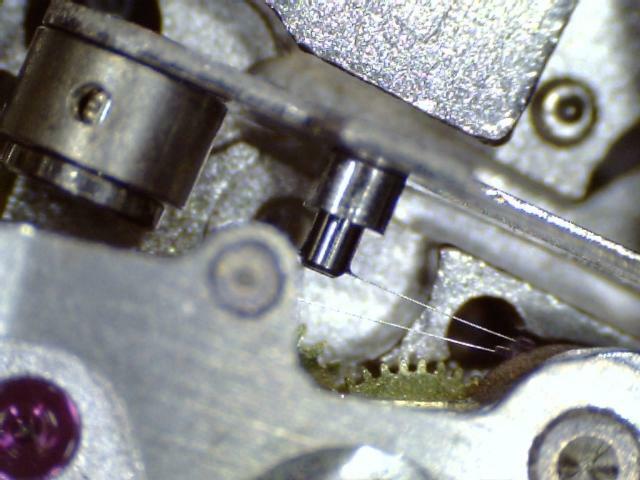 2) Proper indexing influences timekeeping - the countering pawl finger assembly (mounted on top of gear train) can be adjusted with a horizontal screw. 3) This is not even mentioned in the servicing manual but the index finger vibrations can be adjusted by rotating the counterweight on the rod. More over if a watch has been extensively played with in the past you can always try to manipulate the fingers for an optimal fit.